Muskoka Chautauqua’s vibrant arts community offers the opportunity to experience personal growth and enrichment through arts-based programs. The annual Flavours of Muskoka Chautauqua event is an amazing tasting evening featuring great chefs, wineries, breweries, and distilleries along with a sampling of Muskoka Chautauqua’s unique experiences. Live music and a silent auction add to the fun. As Muskoka Chautauqua’s main fundraiser, it’s great food for a great cause: raising funds for arts education in Muskoka. This year’s 19th annual fundraiser will support new creative programs that will help strengthen personal, social, and emotional well-being for children and youth in Muskoka. 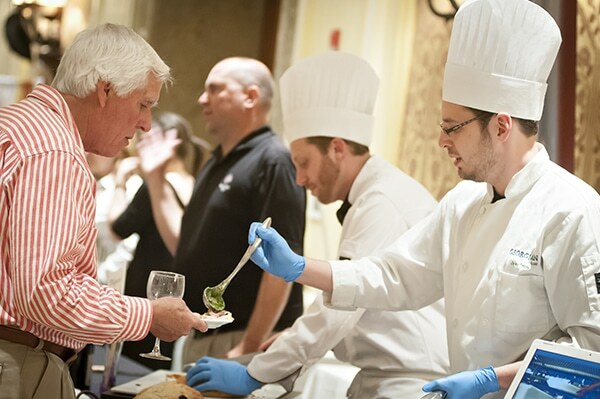 Flavours was a huge success last year and we hope to see everyone again this year on July 4th, 2019! Get Your Early Bird Tickets Here! Bid On Online Auction Items Here! 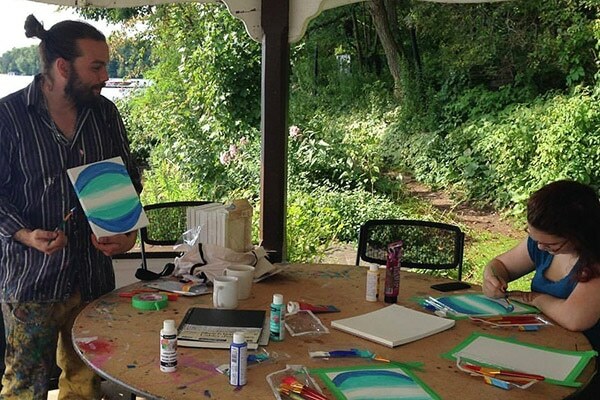 Muskoka Chautauqua offers weekly Artist-in-Residence programs for July and August at both Clevelands House Resort on the shores of Lake Rosseau, and at The ‘New’ Baldwins in Windermere. These programs provide daily, hands-on workshops with professional artists for kids & adults alike. Wednesday night Art Parties on the verandah offer guided instruction, art appreciation, and cocktails. Check out these short videos to see what the Artists-in-Residence were been up to at The ‘New’ Baldwin’s Resort last summer! Muskoka Chautauqua partners with OperaMuskoka to present world-class opera performances and master classes in intimate venues throughout Muskoka. Celebrate Opera with the 2017/2018 NY Metropolitan Opera Encore Season at the Rene M Caisse Theatre. 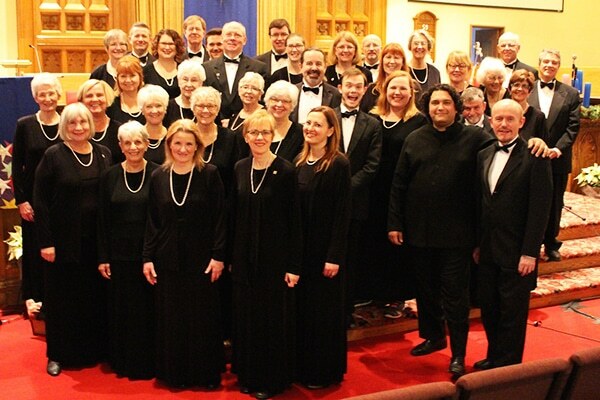 Muskoka Chautauqua is pleased to promote The Cellar Singers of Muskoka and Simcoe, who have been bringing beautiful music to central and northern Ontario for almost 50 years. 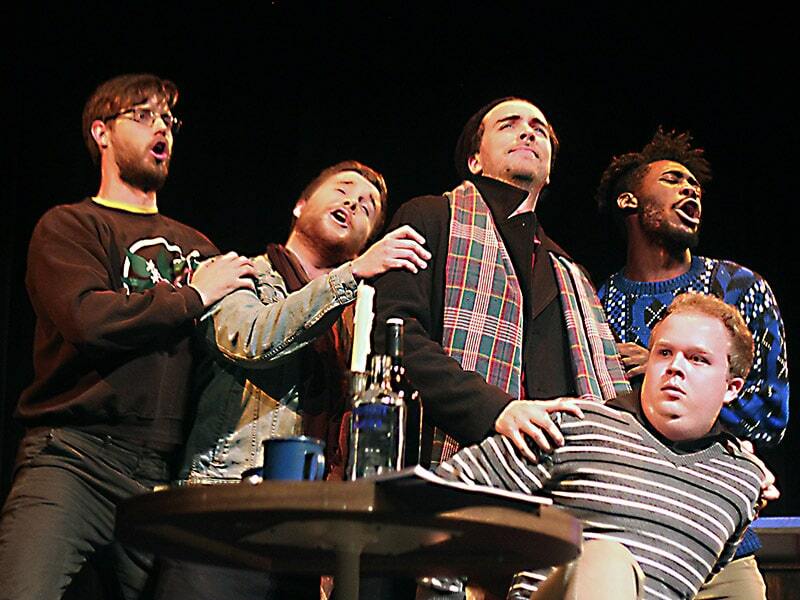 You can learn more and purchase tickets to all their concerts by visiting TheCellarSingers.com. Muskoka Chautauqua’s Arts in Education program, formerly known as Kaleidoscope, is an innovative program that links professional artists with teachers and students of all ages in Muskoka. Using the nationally acclaimed ArtsSmarts model, our teacher – artist teams use the arts to increase student engagement in their learning. Whether you’re an avid reader or just enjoy good conversation, Muskoka Chautauqua Reads is part of our Summer Season Program. In some cases, the authors themselves may show up to read from their books. This year’s booklist is inspired by books for Children and Youth, and of course, by Muskoka! The original Reading Circle was established in 1922. The intention of the Reading Circle was to introduce and advance the works of Canadian authors. It is interesting to note that the study of Canadian literature was not considered credit-worthy at the University of Toronto until after World War II, and then only as a subject of graduate study. Chautauqua weeks hosted famous authors of the day such as Bliss Carman, G. D. Roberts, E. J. Pratt, and Dorothy Livesay reading from their works, accessible to their readers and discussing issues of the day. Chautauqua provided inspiration and intellectual challenge for its members.